Taken straight from today’s headlines, 13 Russian Nationals Indicted For Interfering in The 2016 Election, The Hunt For Red November is a powerful political thriller that throws the door wide open on the hardball game of politics and the savagery that goes into electing the next President of the United States of America. Everybody knows that once a Democratic President has finished his term in office — no matter how wonderful and glorious his achievements might have been — the country does a complete 180 and commits political suicide by electing a Republican. 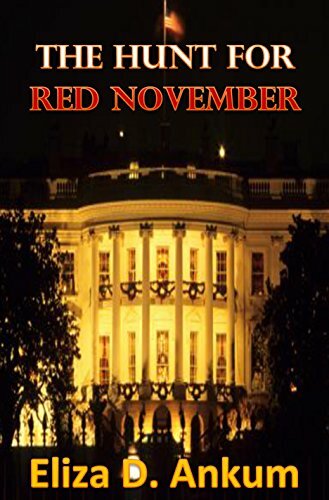 In The Hunt For Red November, an unlikely Republican candidate makes a bid for the White House amid a clamor of more worthy candidates while the Russian President, Spiridon Ivanovich, makes an all out bid for power. Into this mix of wild power hungry moguls throw in a former President with and ax to grind and a sitting President who came to office under dire circumstances who has a devastating secret to hide. Meanwhile, JSOC Team 2-4 searches for a weapon of mass destruction and the vengeful woman who has her finger on the control button and you have the nerve pulsing political thriller, The Hunt For Red November. The game of politics will never be the same.